George Edward Cole OBE (22 April 1925 – 5 August 2015) was an English film and television actor whose career spanned more than 70 years in show business. 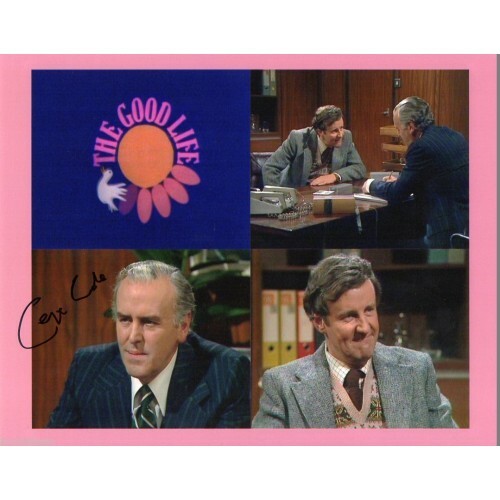 He was known for playing Arthur Daley in the long-running ITV drama show Minder, and Flash Harry in the early St Trinian's films. 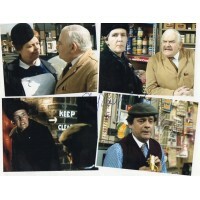 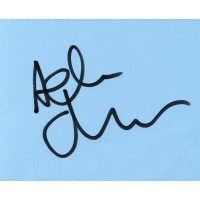 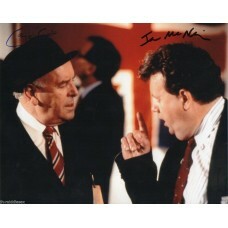 George Cole & Ian McNeice Autograph - Minder - 10x8 Photo - Hand Signed - AFTALGeorge Edward Cole OBE (22 April 1925 – 5 August 2015) was an Engli..
Sheila Steafel Autograph - Minder - Signed 10x8 Photo - Handsigned - AFTALSheila Steafel (born 26 May 1935) is a British actress, who was born in Joha..